Each year, a small elite group composed of some of the most powerful people on the planet meets to discuss world news. This time, the central theme of the Bilderberg club meeting was the presidency of Donald Trump and his impact on the world. The meeting was held in Virginia, USA, and, despite the fact that the president did not attend, was attended by senior members of his cabinet, as well as influential politicians, military, journalists and businessmen from 21 countries. Cristina Jiménez, author of several books on the Bilderberg group, argues that the members of this secret club of powerful “the Trump Administration brings them quite lost and confused “, because “since World War II, a president who does not belong to the club Bilderberg and who does not belong to the American establishment has managed to enter the White House. “For them, this is a rather unforeseen chaos and they have taken it to the forefront of the debates,” he adds. The expert stresses that another of the issues dealt with refers to transatlantic relations between the European Union and the United States, “relations that Trump has also broken.” “Although Trump has not been invited, he has turned everything around him, because he is also ruining one of the big stars of the Bilderberg club, the EU,” he says. This current press indifference is especially odd given that Trump’s national security advisor, H.R. McMaster, is attending Bilderberg 2017, as is Commerce Secretary Wilbur Ross, strategic advisor Christopher Liddell, and, as it turns out, Deputy National Security Council Assistant Nadia Schadlow. This is perhaps the largest White House contingent to ever attend Bilderberg. And, among other things, the larger question, missed by the mainstream press, of whether Trump’s Prexit decision means NAFTA is the next thing in line to “walk the plank.” Trump already exited the Trans-Pacific Partnership, after all. Can globalisation be slowed down? The Bilderberg group apparently wondered about Donald Trump last year as well (see Bilderberg Conference 2016: One world government is consistent with its agenda). Why Is The Director of CERN At The Bilderberg Conference? The annual Bilderberg meeting, the secretive three-day summit of political, economic, and financial elite, which gathers the heads of various industries, private military contractors, members of military and intelligence agencies, IMF, pharmaceutical, World Bank, big companies, and more, is currently taking place. This year, Fabiola Gianotti, the Director General of CERN, is an unusual participant this year. CERN’s presence at such a conference is so interesting. Their research significantly influences academia around the world. Given the intelligence agency presence at Bilderberg, which started with former director Walter Bedell Smith, and the many declassified documents that show intelligence agencies’ close relationship with mainstream media outlets — whose heads also have a strong presence at Bilderberg — it becomes abundantly clear that real science is in the hands of the global elite. It’s also weird given the fact that the Bilderberg conference is heavily associated with weird occult type rituals in the form of sacrifice and more, especially given the fact that a fake human sacrifice was actually filmed at CERN not long ago. 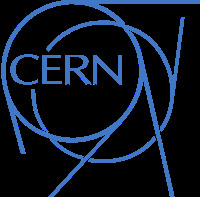 As regular readers know, I have long covered CERN and some of the potential of its Large Hadron Collider. I remain convinced that some technology it spins off will have military potential for the Europeans–see The Large Hadron Collider has Military Potential. Development on the LHC’s replacement is expected to take decades, which is why experts are keen to get started now. The aim is to put together a machine that’s some seven times more powerful than the hardware we have today. “When you look into things like the movement of galaxies, we see that we can only understand and explain about five percent of what we observe,” Michael Benedikt, who is leading the FCC research, told Joe Dodgshun at Horizon. Let’s not write off the Large Hadron Collider yet, though. The revolutionary particle smasher, which causes particle beam collisions strong enough to break matter into its constituent parts, is expected to keep the scientific discoveries coming until 2035 or so. The timing of this just before the Bilderberg meeting and the CERN directors attendance could be more than coincidental. And perhaps this acceleration is related to Donald Trump. Barely a fortnight ago, on 1 June …, CERN Director General Fabiola Gianotti addressed the entire assemblage of the Bilderberg Group where she delivered the “Message of God” that had been “received/deciphered” by the Large Hadron Collider-LHC—and that so “horrified and terrified” those hearing it, they immediately pledged their Western nations to funding a cyclotron particle collider three times as big, and seven times more powerful, than the Large Hadron Collider-LHC—and whose cost can only be measured in the trillions-of-dollars. In fact, this report notes, Einstein was conclusively proved wrong that particles not only exceed the speed of light, but can communicate instantly though separated by any distance (or dimension) in 2015 by researchers at the National Institute of Standards and Technology—and whose astonishing findings were further confirmed this past week by Chinese scientists too. I would label certain aspects of the above mainly as conspiracy theories. If there are any “other dimension entities” contacting CERN, I would suggest they are demonic. I do believe that CERN’s research has military potential. What the CERN director really said at Bilderberg and what it means is not clear. But I do NOT believe it was a “message from God”–at least not the God of the Bible. While I do not believe that conspiracy would be the best way to describe the Bilderberg meeting (nor do I fear Bilderberg), I do believe that many who attend it are interested in a one-world government and would like to see it. Satan has a plan (see Satan’s Plan) and it involves a type of one-world government–and he influences people around the world. Various ones associated with the United Nations want such a government–or at least more international control of national governments. Though Sorchal Faal tends to push conspiracy theories and odd ideas at times, the idea that many who attend Bilderberg want some type of one-world government is not simply a ‘conspiracy theory,’ it is a reality. 11 Then I saw another beast coming up out of the earth, and he had two horns like a lamb and spoke like a dragon. 12 And he exercises all the authority of the first beast in his presence, and causes the earth and those who dwell in it to worship the first beast, whose deadly wound was healed. 13 He performs great signs, so that he even makes fire come down from heaven on the earth in the sight of men. 14 And he deceives those who dwell on the earth by those signs which he was granted to do in the sight of the beast, telling those who dwell on the earth to make an image to the beast who was wounded by the sword and lived. 15 He was granted power to give breath to the image of the beast, that the image of the beast should both speak and cause as many as would not worship the image of the beast to be killed. 16 He causes all, both small and great, rich and poor, free and slave, to receive a mark on their right hand or on their foreheads, 17 and that no one may buy or sell except one who has the mark or the name of the beast, or the number of his name. A type of world government, that will come out of war, will temporarily (42 months according to Revelation 13:5) have a lot of power and influence. It will try to have various economic plans, but according to the Bible, it will not be good nor end well (Revelation 18). So what might the Bilderberg meeting have to do with this? Bilderberg is one of many meetings and groups that have people who want to form more of an international, one-world, government that is somewhat consistent with biblical prophecies. What might CERN have to do with this? Its projects have military potential. A potential that one day would seem to be something that the Beast of Revelation 13 will employ against nations like the USA, as the USA will one day be destroyed by a European power according to Daniel 11:39 (see also USA in Prophecy: The Strongest Fortresses). Those who attend Bilderberg should consider and believe what the Bible teaches will happen. Can the Bilderberg Group Affect 2017 and Beyond? The infamous Bilderberg Group met in Dresden, Germany from June 9-12 in 2016. This super-secretive group has been meeting since 1954 and has admitted to some subjects it would cover, but blocked out cell phone reception and forbid coverage of the discussions by the media. This is considered THE meeting to be part of for the elites who are working for a global-type of government. It is by invitation only. They are working towards their version of the New World Order as opposed to the good news of the Kingdom of God. At least one top leader apparently attended to try to get the Bilderberg Group’s support for a bid to become the next Secretary-General of the United Nations to replace Ban ki-Moon, whose term ends 31 December 2016. Dr. Thiel explains some of what is going on in the light of end-time biblical prophecies. Two Horned Beast of Revelation and 666 Who is 666? This article explains how the COG views this, and compares this to Ellen White. Here is a link to a prophetic video Six Financial Steps Leading to 666? United Nations: Humankind’s Last Hope or New World Order? Is the UN the last hope for humanity? Or might its goals end up with sinister results? A related video would be United Nations and Vatican Are Planning the New World Order. The Large Hadron Collider has Military Potential Some say this European project is only peaceful. So why is it working on capturing antimatter? Here is a link to a related video: Could the Large Hadron Collider lead to destruction? Does God Have a 6,000 Year Plan? What Year Does the 6,000 Years End? Was a 6000 year time allowed for humans to rule followed by a literal thousand year reign of Christ on Earth taught by the early Christians? Does God have 7,000 year plan? What year may the six thousand years of human rule end? When will Jesus return? 2022 or 20xx? There is also a video titled The 6000 Year Plan: Is the end of humanity’s reign almost up? Here is a link to the article in Spanish: ¿Tiene Dios un plan de 6,000 años? This entry was posted on Sunday, June 18th, 2017 at 2:00 pm	and is filed under Prophecy.